Ran Marin Summer Training 2016! Track season is here, but it’s not too early to start thinking about your summer running and training program plans. 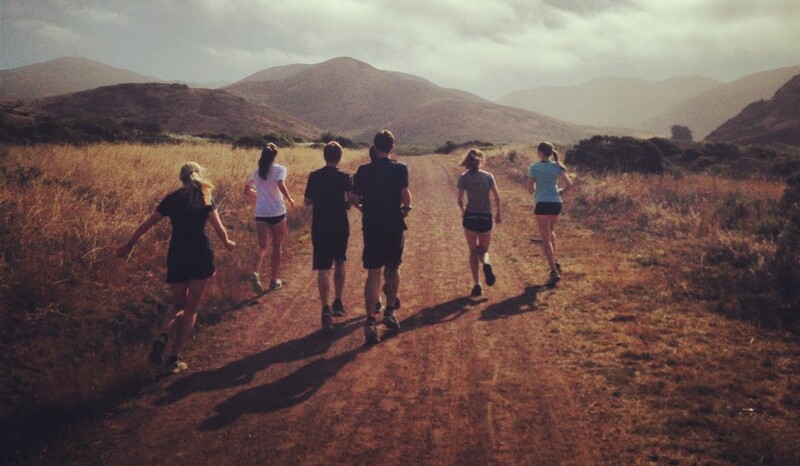 Ran Marin Summer Training will be back for a 5th summer! Download application here: ranmarin-summer-training-application and email WeRanMarin@gmail.com to sign up! Liz Gill is in her fifth year directing the summer running program for Ran Marin. She is the Head Track and Field Coach at Marin College and offers individualized running, nutrition, training, and sport coaching services here. You can also find her at Whole Athlete as a running coach, an instructor with MoveWith teaching Train from the Trails: Trail Running and Strength Training for Runners at Baker Beach in San Francisco on Wednesdays at 7am. She is also an ambassador for Sisu Girls, which inspires young women to find their inner grit and resilience through sport and outdoor adventure. Her athletic background includes competing as an NCAA Division 1 cross country and track and field athlete for four years at Columbia University and a year at University of Southern California (fight on!). She was recently inducted into the Columbia University Athletics Hall of Fame as part of the first women’s team to be inducted in school history. She has worked as a cross country and track coach at Branson, backpacking guide in Central America, manager of an adapted paddling program, and group leader for high altitude training and service learning trips in Kenya and Peru. She is a USATF Certified Level 1 coach and certified in Wilderness First Aid, Sports First Aid, and CPR. Linda Broderick Gill is a USATF Certified Level 1 coach. She was the Head Cross Country Coach at The Branson School for six years and has been a Branson Track distance coach for eleven years. She was the Head Cross Country Coach at Marin Catholic for one year. She was an assistant cross country and track coach at Drake High School for one and a half years. An incredibly accomplished runner, Linda competed in Cross Country and Track at Tamalpais HS and she won the CIF State mile in 1976. She went on to become a national class runner at UCLA as an All-American. A highlight was being part of the UCLA Track and Field National Championship Team in 1977. She was inducted into the Marin Country Athletic Foundation Hall of Fame and holds a Bachelor’s Degree in Economics from UCLA. This entry was posted in Latest News, Ran Marin Summer Training Program, Track, Uncategorized and tagged bay area, camp, coaching, college, cross country, group, high school, individual, marin, marin county, program, ranmarin, summer camp, summer program, summer training, track, trails, training by ranMarin. Bookmark the permalink.